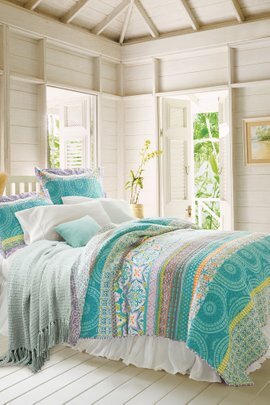 Quilts hold a special place in people’s hearts. 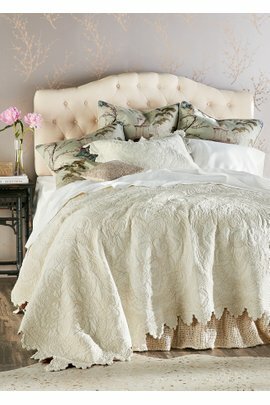 Soft, comforting, and incredibly beautiful, quilted bedspreads add a homespun touch to bedrooms and guest rooms. 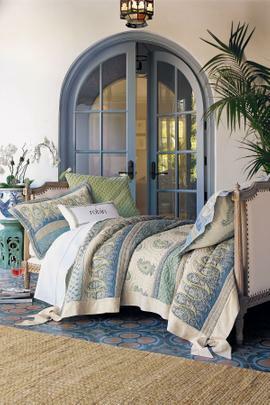 They also add to the décor of other rooms when draped over sofas or lounge chairs. A stack of extra quilts in your linen closet is good insurance against cold weather or unexpected guests.Our quilts are available in a variety of patterns, colors, and weights. Whether you are looking for ethnic prints, country simplicity, or vintage elegance, there is something in our range for you. In addition, we stock quilted bedspreads year-round, offering lightweight options for summer and cozier quilts in the cooler months.Of course, our quilts are also incredibly soft. In fact, we’ve given them softness ratings, just as we do with our clothing. 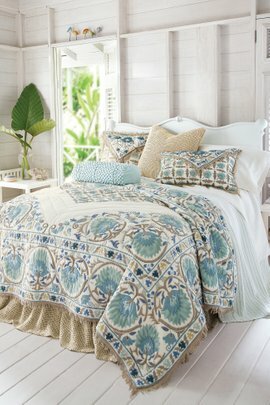 Some styles come in multiple colors, while others can be purchased alone or as part of a set along with pillowcases, sheets, and shams.Browse our collection today and treat yourself, and your home, to something wonderful.